“Kristin just completed the sale of my Bernal Heights home. The entire process was done with amazing ease, despite all of the requirements, inspections and signatures. Every “t” was crossed and every “i” dotted. Her 25+ years of experience was evident throughout, it was incredibly seamless and efficient. Kristin knows San Francisco real estate with a special knowledge of Bernal Heights, San Francisco’s European Village. “My wife and I were selling our house, but had no real clue how to go about it. Kristin helped us figure out things like how much repair and renovation to do, what time of year is best to list, lots of details we would never have thought of. Most important of all we had to leave San Francisco by a certain deadline, and Kristin offered to organize everything for us (from book donations, debris hauling, hardwood floor refinishing, painting, carpet installation and cleaning, to staging, photography, open houses and closing) while we were away – she literally said to us ‘You’re going to give me the key and I will handle the rest’. She worked tirelessly on this for about 3 months, and when it was done I swear – our house NEVER looked this good during the time we were there! Even with us being 3000 miles away, Kristin kept us totally updated on every step of the process, she is incredibly detail-oriented. “Kristin was the best person we could have chosen to sell our house. This was the first time my husband and I had owned or sold real estate. Kristin was excellent at navigating the many technical and emotional aspects of selling our home. She explained the process in detail, walked us through the complicated paperwork, helped us make needed repairs, encouraged transparent disclosures, and kept things moving with suggested deadlines. She did all this with good humor, flexibility, and practical advice. She knew how to price our home to encourage interest and favorable offers. Our home sold very quickly, and well above the asking price. “So glad we went with Bernal Hill Realty! When selling our house, we deliberated and looked at some of the more ‘slick’ agencies, but we decided to go local … like same-block local … and it paid off big time. From the start, Kristin was no-nonsense, specific, and knowledgable, especially about the Bernal Real Estate micro-climate. We told her our vision for the house, she told us how to get there and laid out the steps along the way, including providing excellent contacts to do work and painting where required. She also navigated us through several potentially momentous decisions regarding timing of the sale and offers. And though Kristin was our main contact, Mary Ann was always helpful and available. “I can’t even begin to describe how helpful, professional, thorough, effective, and supportive Mary Ann and Kristin were throughout the process of selling our home. They were not only on top of everything but kept us informed throughout the process; no detail too large or small was beyond them. Everything was done without a hitch- staging, painting, garden work- it couldn’t have gone better from both a financial and emotional standpoint for me and my wife. “Dear Kristin and Mary Ann, Just a note to thank you again for all the help you provided listing and selling my Mom’s house on Harrison Street. I sense that the real estate arena holds your office in the highest regard. There can be no better compliment to you than that from your peers. I too found your knowledge and expertise an asset to the entire process. The suggestions you made regarding the price point, the decision to get an inspection, the vendors, number of open houses, etc. were all spot-on. I particularly appreciate the quick response to any and all of the questions we had along the way. “Kristin Hofso is the best real estate agent we could ask for!! In this highly competitive SF housing market, Kristin was able to help us identify and package a winning offer for a much desired condo in Bernal Heights, and all this done within 2 weeks of our beginning our search! The process of acquiring a home in SF is arduous and full with complex documents and procedures. Kristin is so experienced and skillful that she patiently hand held us throughout this process, giving us clear explanations and guidance for each step along the way. Always in her very warm and very objective non-imposing ways, she welcomed all our questions, no matter how small or stupid, and she responded promptly, pleasantly and knowledgeably. She made invaluable suggestions that helped us have our offer accepted, even though it was not the highest monetary offer. “Kristin and Mary Ann are superb realtors: knowledgeable about the local market, attentive to client needs, and careful judges of property. They always responded promptly and candidly, noting my particular criteria. I am particularly impressed by the level of scrutiny that they bring to property – they work to ensure that their clients are well-educated, and are wonderfully candid about the strengths and weaknesses of properties (this in a market that often is marked by uncritical boosterism). They are well-versed on the various types of houses that one encounters in San Francisco and scrutinize disclosure statements expertly. In my case, shopping was a family enterprise. They were equally friendly toward my parents. “I could not imagine going through the process of buying a place in San Francisco without the help of Kristin and Mary Ann at Bernal Hill Realty. When my wife and I first started looking, we weren’t sure we even wanted to buy a place. The last thing we wanted was a pushy realtor that was pressuring us into making a decision that wasn’t right for us. On the recommendation of a friend, we set up a meeting with Kristin and Mary Ann, who turned out to be the perfect fit for us. They have tons of experience in the neighborhoods in which we were interested (Bernal, Potrero, Glen Park, Mission), but allowed us to move at our own pace. We spent months checking out a wide variety of places in different locations as we figured out what we liked and didn’t like. Throughout this process they really took the time to get to know us and our taste so they could direct us to the places that were the best matches for us. During this time they were patient when we needed them to be and then ready to play an active role as we got more serious. I came away feeling that they really knew how to read and respond to the needs of their clients. I had always thought of a realtor as someone who just helps find or sell a home, but once we got to the offer stage in the home buying process, we got to see the value of really great realtors. Kristin and Mary Ann knew exactly how to put together a clean and attractive offer that would make us serious contenders, even if we weren’t the highest bidder. They also had fantastic relationships with lots of other realtors, who trusted them and the offers of their clients. San Francisco is an incredibly competitive market, so many things other than the offer amount can be the deciding factor. We ended up getting the first place on which we made an offer. “My wife and I used Kristin and Mary Ann when we bought a place in 2012. Looking back at the review I wrote then, I said that if we ever needed a realtor again, we’d head straight to Bernal Realty. So when my father-in-law recently received an eviction notice and decided to buy a place, we immediately called Kristin and Mary Ann on his behalf. Being forced to move is an imposing proposition in the best of situations. In San Francisco, it feels like a nightmare. Thankfully, we were able to lean on Kristin and Mary Ann as they helped him find a great place on a short timeline. My father-in-law is not an easy customer. He often seemed to want mutually exclusive things in one property (e.g., easy to bike to, but great views). Kristin and Mary Ann were patient listening to his impossible demands and deciphering the most important qualities in a property for him. They were exhaustive in their canvasing of potential leads, researching sales prices, and visiting countless properties (and then revisiting them for a second look). “Kristin helped my fiancee buy his house over a decade ago, and has always been totally stoked on that experience. Now we’re looking again, and Kristin and Mary Ann have been great – they spent a long time learning exactly what we’re hunting for, have been working their connections for us, and have been super communicative. “As a first time home-buyer in 2000, I was extremely fortunate that Kristin Hofso and Bernal Hill Realty were recommended to me and have a real estate agent who specializes in Bernal Heights and knows of properties that aren’t well marketed or are being sold by the owner, which larger real estate companies aren’t always aware of. If it hadn’t been for the specialized knowledge, competence and talent of my agent, I would not have become the owner of my property. I was also fortunate to discover I’d found an agent who listened closely and took the time to fully understand the type of property I would be most happy with and was genuinely interested in finding it for me. This level of personal interest and concern for what’s best for me, was comforting and lead to a friendship forming between myself and my agent. When it came time to sell in 2014, there was no question whether to use anyone but Bernal Hill Realty. They did a marvelous job of selling my home and I can’t recommend them highly enough. Once again, I was impressed with the knowledge, talent and competence of Kristin and Mary Ann as real estate agents and I was most grateful for the personal aspect of offering assistance and advice on how to make the selling process easy on me and be most successful. “I decided to sell my home of 20+ years recently after my husband’s death. There was a lot going on in my life and Mary Ann and Kristin were so knowledgeable, supportive and helpful during this whole process. They LISTENED to my goals, presented a detailed plan of action and then gave me frequent updates as we implemented the plan. If I needed a referral they set up the interviews, if I had questions they answered them, if I was unavailable they connected the dots. The whole process went smoothly with the best possible out come — my house sold at above asking price. “Just updating — my experience as a buyer was just as positive as a seller! I looked at many homes and made several offers. The process took over 9 months because there were some things I just would not compromise on (and I had somewhere to live during the search). I appreciated their low key approach and the fact that they listened to what I wanted. There was never any pressure to look places I did not want. They were also willing to be creative and kept me thinking about possibilities. Real Estate in SF can feel so cut throat. Bernal Hill Realty makes it friendly and personalized. AND I have a great house with a beautiful view and flexible floor plan and a morgtage that is half of my original house! “Kristin, thank you so much for all your help, we are extremely happy with the purchase of our new home. We had been looking to buy a house in Bernal Heights for nearly 2 years and along the way we learned a lot about the market and the agents on the ground. After much frustration we made a very important decision: to switch to having you as our agent. “I would highly recommend Mary Ann Goldstein and Kristin Hofso at Bernal Hill Realty. Both are very professional, skilled and knowledgeable, and together they make a great team, working extremely smoothly and effectively on the sale of our family home in Noe Valley. Both Mary Ann and Kristin were consistently available to patiently answer every and each question, gave stellar advice based on their considerable experience, and both personally went out of their way to help prepare the house and sell it quickly. “We would like to sing the praises of Kristin and Mary Ann. We put our house in Bernal Heights up for sale with them and then moved to Mexico. They facilitated the whole process, so that everything went smoothly, even though we were out of the country! “Dear Kristin, Thank you so much for all your work, attention, and support in our house buying process. We felt so well taken care of and your effort really made it seem doable for us to actually succeed at buying a house. Thank you also for being incredibly patient (and energetic) despite our somewhat slow process. “My finances are fairly good by national standards but quite limited by San Francisco standards. In this land of facebook millionaires and hipsters backed by Daddy’s trust fund, I can’t compete on the real estate market. I’d started looking at houses in SF and been scared off by the buyer-unfriendly balance between price and quality. I had one last chance to look before making a major personal decision; a friend recommended that I talk to Kristin. “When we were ready to sell our first home and move on to the house of our dreams we knew it was time to call Kristin Hofso at Bernal Hill Realty. Within a short time she had found us an ideal place, led us comfortably through negotiations, and then helped us sell our old place quickly and for more than we’d dared hope. “You guys did a great job in selling our Bernal home. First of all, both of you instilled confidence in us that you were looking out for our best interests. You had a fine balance between presenting unbiased options with the odd nudge now and then for some choices that might be better than others. We always felt we had the best information in order to make good decisions. Both of you were very available and you brought in the best people to assist with the process. You made dealing with paper work very simple and streamlined. “I went to Bernal Hill Realty for help selling a home. My husband and I raised two children in this home, and then moved out and rented it. After 7 years of renting, we were ready to sell and the house needed a lot of work. Selling any house is a complicated process – both in the getting it ready for market and in the legal requirements for inspections and disclosures. Getting this house ready for the market meant figuring out how much to fix it up, and then getting all the contractors in to do the work in a reasonable amount of time. Mary Ann and Kristin guided us well in making the decisions on what to do, and had all the contacts we needed for contractors to get in done in our time frame. And then there are all the inspections, disclosures, and figuring out how to price the house. Mary Ann and Kristin helped make this process more understandable and kept us moving through it. We loved our house, and it was great to see it looking beautiful again and ready for another owner. In all the twists and turns of the process, we really appreciated the knowledge, experience and contacts Mary Ann and Kristin brought. They were great to work with. And they have a great ethical sense, of how to treat both seller and buyer fairly. “Now that the dust has settled, we’d like to express our deep appreciation to you for all your help in getting us through the last 8 months of real-estate wheeling and dealing. After 9 years in our old house, it was time for us to seek a larger space for our growing family. 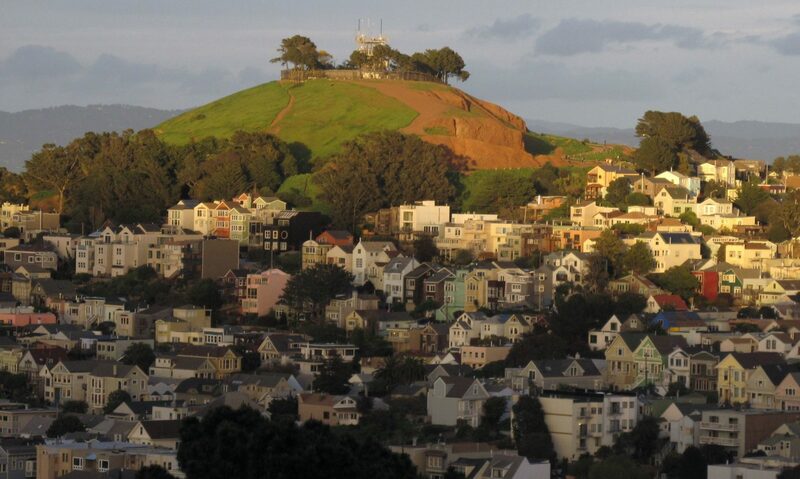 We knew we wanted to stay in Bernal, so we went straight to the source – Bernal Hill Realty. You found a wonderful new house for us, negotiated a good price, and then helped us put the gloss back on our old house to sell it for more than the asking price. In today’s unpredictable market, that’s no small feat! We literally could not have gotten through this very stressful process without you: your patience, humor and flexibility kept us on an even keel, and made the transition easier for the whole family. Late-night document signing, last-minute cleaning crews, even taking out the garbage cans — all were handled with grace, speed, and real professionalism. “Just a thank you note to tell you how much I appreciate the wonderfully professional way in which you handled the sale of my home. “Hi! We want to thank you from the deepest of our hearts. There are not enough words to express our appreciation for the outstanding service that Bernal Hill Realty provides and specially you and your dedication, patience and real concern to please us and to exceed our own expectations. When we asked you for help we did not expect “miracles”. You dedicated all your time and resources to find us the best that our money could buy, a quality structure in a great location. Your knowledge is amazing and well rounded and so impressive. Kristin we will be forever thankful that you made it possible for us to buy a great home at an amazing deal. We will recommend you and Bernal Hill Realty to our family, our friends and anyone, you surely are the best. “We just had a great celebratory dinner with our family — we hope you’re celebrating, too. Your excellent advice, everything you did to get the house ready, and the amazing website and the whole marketing plan made the sale of our house so easy, and really, despite the delays in the last few weeks, the whole process was far shorter than we originally expected. So we are very, very glad that we chose to have you represent us, and we can’ t thank you enough! It was a pleasure to work with you both, even from afar, and we’d be pleased to recommend you to all our friends in San Francisco. Again, many thanks for all your hard work”. “Now that we can officially say that you sold our Bernal Heights house, I wanted to thank you again for making what was basically a stressful process very smooth and successful. You managed to instill fun while always staying on top of our questions and requests, and guiding us very skillfully through the many documents and signatures needed along the way. Everything went as you described, only faster and better, and you made it all possible. “I want to express my sincerest thanks for all your help during this sales process. It was wonderful working with you. “I lived in Bernal Heights for 18 years. When it came time to sell my house and move out of the city, I decided to check out Bernal Hill Realty. After my first meeting with them, it was an easy decision to use Kristin and Mary Ann as my agents because they were direct and clear with the strategy of home sale, the reality of the market, their opinion and knowledge made total sense to me and the people they work with in order to prepare the home for sale were all professional, reasonably priced and punctual. They asked me great questions to feel where I was in the process and which put me at ease that I will be involved in every step of the way. It turned out to be a great experience all the way from preparing the house for showing it, the Open Homes to the public and brokers down to the guidance during offer negotiation and the final stages of waiting for finances and dealing with buyer agency and finances. I felt in sure hands all the way through. This letter is written to thank both of you for your excellent and ethical manner in selling of my mothers home on Heyman Street. Without a doubt, the manner in which you handled all of the difficulties attached to this sale was beyond my expectation. After our first meeting, I knew immediately the you were the right agents to work with. Thank you for your attention to detail, Bernal Hill Realty will be referred when the opportunity arises, thank you again. “Mary Ann Goldstein of Bernal Hill Realty was my agent for selling my home in Noe Valley. I chose the Bernal Hill team after interviewing many other large and small agencies because of the strong recommendations from friends and the sense I got that they put much personal attention into their projects. Not only did the Bernal team provide good advice in preparing and timing my home for selling, but helped me find and interview a repair and staging team that did an excellent job at a competitive price. I moved out of state several weeks before my house was listed so that this could be accomplished and Mary Ann saw to it that the house was properly repaired and secure. I never had to go back to San Francisco for anything and never needed to see the final results. Furthermore, her excellent communication skills enabled me to understand and get through the enormous paper work now required in such transactions. Besides which, she was easy to work with and she and her partner had great ideas. There is no question that Bernal Hill’s selling strategy was the key to bringing in literally hundreds of interested buyers and many firm offers in a very short period of time. I was able to move out, repair, stage and sell the house in less than a month and at a price I wanted in a slow market. “Bernal Hill Realty responded with a sense of urgency when it came to selling our home and getting it prepared for market in a tight time frame. They provided us with sound advice and plenty of considerations to take into account when making critical decisions about the market. In addition, since we didn’t live in the area during the time of the sale, Kristin and Mary Ann coordinated multiple contractors and made sure that everything was completed on time for the first open house. “Kristin, I really cannot thank you enough for the great work you did in selling my Bernal Heights house! First, I had literally no time to deal with all the steps one must take in preparing a house to show. As you know, I travel a fair amount and was away for much of the prep time. I was able to carve out the time to pack and move, but that was about it! You did an incredible job coordinating all the painting, staging, gardening and general prep work required to pull this off. Second, your guidance and advice in terms of pricing, timing of showings, how to handle the bids and making the investment in staging for the home were spot on—resulting in our receiving $100,000 over our asking price! Naturally, I was thrilled, but you really are the one who took my cute little house that needed some work and turned it out like a little gem for the showings and all. Your real estate acumen on how to manage all this was excellent and greatly appreciated. “Both of you are awesome and should be rated as the number #1 Realtors in San Francisco. Your professionalism and experience in selling homes convinced me that you were the first choice for an agency. We seemed to have an instant friendship with each other and it did not seem like just another business transaction. Thank you for all your help through this Odyssey of finding a new home to buy and selling the old home that I loved. The first part of the process involved spending countless Sundays in search of the perfect home, one with enough space and a view. We made offers on several, but Kristin warned me they’d never be accepted, being contingent on my selling two houses. So I sold one first, and looked for a replacement. At last we found one with two units, three bedrooms, a spectacular panoramic view, and were able to negotiate a good price. Then it was time to sell my old love of 28 years. The journey needed to be completed. First, my moving out, and then your ability to find all the workers needed to make my home sparkle again. Suddenly, my home looked better than when I bought it, fresh and airy. Your job marketing the home was excellent, the flyers well designed, the outreach to the neighbors and clients welcoming and the cookies as always delicious. Your advice and marketing, that I (often reluctantly) followed religiously, led to a spectacular selling price. Although each step was difficult and traumatic you were always there to nudge me through with patience and humor. Together, you both worked hand in hand with me. You made what felt like an insurmountable set of tasks manageable. We would like to write a few words about how Mary Ann was a wonderful help. * Mary Ann guided us every step of the way to get our dream house. * She is very professional and reliable person that worked with us closely in the process of purchasing a house. * Mary Ann showed us that she cares about our family’s needs by communicating with us always. “I sold my home of 26 years in 2010, using Mary Ann and Kristin, and would use them again in a heartbeat. 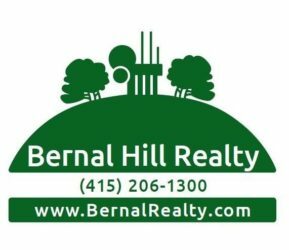 I interviewed about four or five realty firms, and selected Bernal Hill Realty because of the connection I felt with both women; they are smart, down-to-earth, friendly, super-competent, and know Bernal properties and the neighborhood inside out. “From the bottom of our hearts, thank you so much for helping us sell our house. We chose to sell our house under some challenging circumstances. We had already put an offer in on a new home and were eager to sell our house during a “down time” in the housing market. In addition, our home had some features that may have made it harder to sell. Despite these challenges, you calmly and professionally led us through the process of quickly getting our house ready to sell, expertly marketing the home, holding several open houses, and always keeping us up to date. We were so happy when we received an offer from a couple who loved the home as much as we did. In concert with my wife, Carol, I am pleased to recommend the services of realtors Kristin Hofso and Mary Ann Goldstein, operating as Bernal Hill Realty. These fine and friendly professionals handled the sale of our 100-year old home at 125 Richland Avenue, and in these days of iffy home sales, and tumult in the home mortgage business, our sale closed yesterday for a shocking 25 per cent over the asking price, and within two weeks of showing. As far as I could study beforehand about what realtors do, it seems that Bernal Hill Realty did everything right. 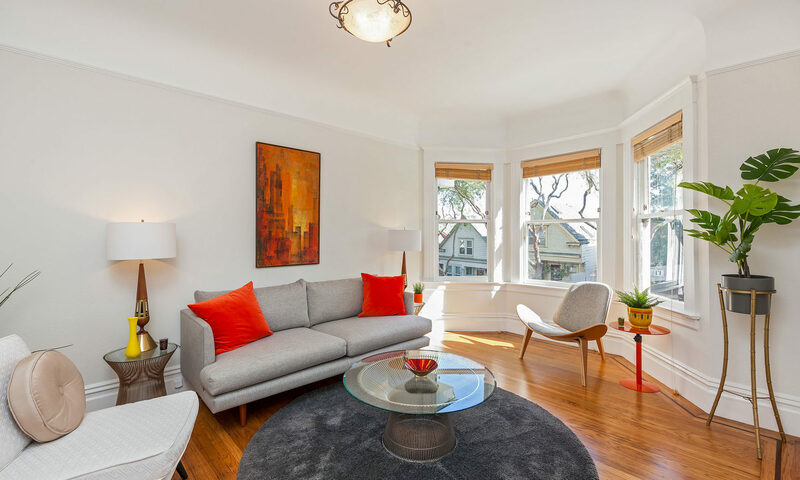 They deal extensively with local craftsmen who painted, fixed up, redid the hardwood floors, spruced up the yard and garden, and, most importantly, selected a staging firm that knows what people are looking for in a San Francisco home today! Also the mounds of paperwork were delivered to us in digestible bites, the several inspections were ordered and carried out efficiently. They even saw to collecting and putting out a debris collection. And, of course, there were those cookies baking in our oven for the Sunday open houses! Mary Ann and Kristin are more than a leading, or the leading seller of homes in the area, they are an integral part of the Bernal Heights neighborhood: We see them shopping; they contribute to, and attend, the local concert series; and as Carol has been acquainted with Kristin for several years, through her job, we didn’t think twice when it became time to sell our home of thirty-two years. I had a wonderful experience with the ladies of Bernal Hill Realty selling my Bernal Heights home in what I thought was an extraordinarily short amount of time, with minimal issues. In particular, Kristin Hofso was my guide and conscience in the process and made the whole process fluid, timely and rewarding – on many levels! Having been through an unsuccessful sales process on the home in 2009, I was eager to make this sale attempt in 2012 happen quickly and efficiently. I wanted a realtor who knew the peculiarities, pros and cons, of Bernal Heights and in particular of my block which has its own challenges. I knew I would not get the depth of knowledge and special attention from one of the larger brokerage chains and found the specialists at Bernal Hill Realty through word of mouth and referrals. Kristin was able to help price the home right for a quick sale given a slough of special circumstances surrounding the property. She worked with me and managed all aspects of the sale while I was remote from the property and acted very much as a property manager to keep the place in order for the showings and getting all the parties in and out that needed to be involved (stagers, repairmen, etc.). She helped me maximize my short period of time prepping the house and pointed out all the nuances needed to get it in top shape for showing and for passing through the appraisal/inspection processes without issue once under contract. I felt very comfortable heading out of state after my initial prep work and handing her the keys to “take over” the sales process. I knew that having her live and work locally in the area meant she would be at the property on a very regular basis and would guard it as if her own. Mary Ann offered a second pair of eyes and advice throughout the process as well. I think the interplay between them is a huge value-add for any sale they undertake. I was also very pleased with the high level of communication throughout the process and their ability to calm my nerves with the right words through the process. Every aspect was approached in a very matter-of-fact way that kept the process real and on course.